Do you Desire cheap super-fast 4G? While the new HTC One Max may be the talk of the town at the moment, the smartphone maker has also today announced that the super-fast but affordable HTC Desire 601 will be available exclusively from Vodafone. You'll be able to pick up the Desire 601 with no monthly handset repayments on Vodafone's 24-month plans starting from $40 per month. The Desire 601 will attract $5 handset repayments on the lowest 24-month $30 plan, while 12-month contract prices start from $68 total per month. HTC boasts the phone as "blazing fast data speeds" with its Category 3 LTE, which can give you up to 100Mbps download speeds on Vodafone's 4G network. 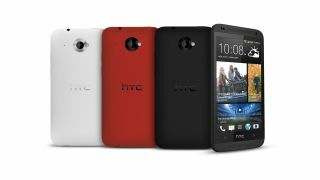 With the HTC One moniker the new premium brand, the Desire brand has been reallocated to the mid-range space, but with its sleek HTC design and mid-range price tag, it'll be an attractive buy touting some decent specs. Powered by HTC Sense UI and Android 4.2 Jelly Bean, at the higher-end, it has Cat 3 LTE connectivity as mentioned above, as well as premium in-house features in the form of HTC Zoe, BlinkFeed and BoomSound. However, the 4.5-inch screen has a mid-range qHD display, as well as middling 1GB RAM and dual-core 1.4GHz Snapdragon 400 processor. Thankfully, though it only has 8GB on board, it does sport a microSD. A good thing as, though it only has a 5MP camera without the Ultrapixel sensor found on the One, it does shoot 1080p video – and coupled with Zoe, it'll take up quite a bit of space. Here's our review of the HTC Desire 601.